A splendid coastline where the quickly shifting light can astonish and inland areas which offer a good lifestyle, really reflect the charm of Côtes-d'Armor. Life here is peaceful and, thanks to its free road network, nothing is far away. The towns, all human in size, offer splendid architecture from the medieval to the Renaissance period, as in Tréguier, Guingamp or Dinan to mention a few. Property for sale in Côtes-d'Armor is for all budgets. 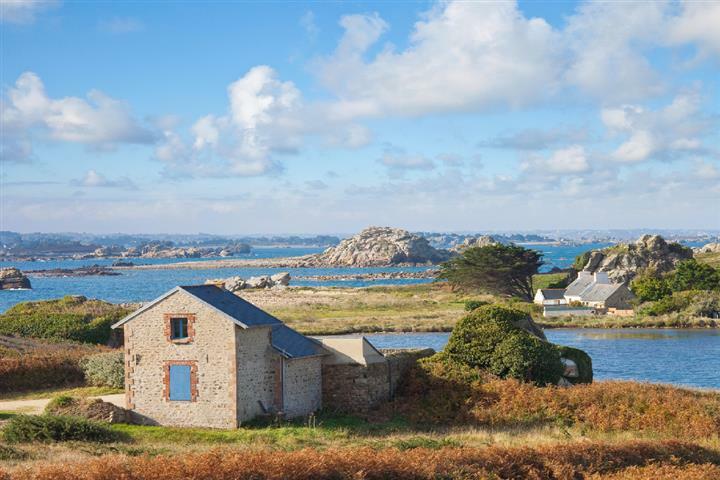 Houses are mostly in granite, but country houses and neo Breton style houses are also part of the landscape. You have plenty of choice to find the house of your dreams: a view of the rocks in Plougrescant, or on the tree-lined banks of the Trieux.